Mercedes-Benz Stadium, future home of the National Football League’s Atlanta Falcons and Major League Soccer’s Atlanta United, is going green. The White House Office of Science and Technology Policy is taking notice, praising and recognizing the sustainability efforts of the stadium last week. 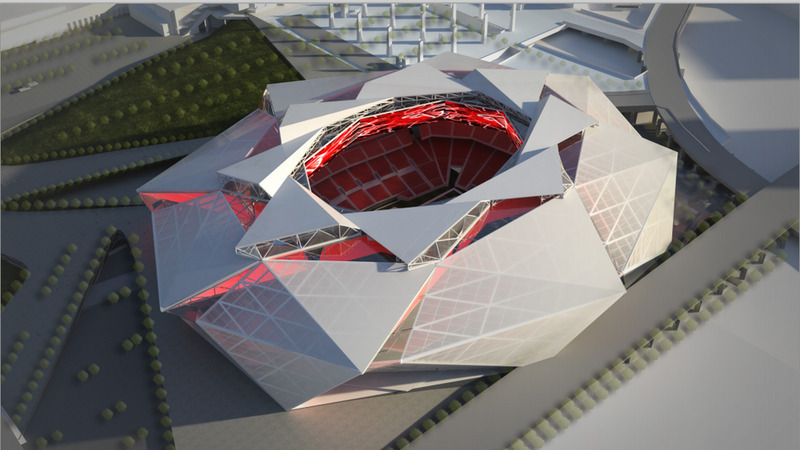 In a push to achieve the LEED Platinum certification, the Atlanta Falcons are constructing their upcoming venue with the environment in mind and are on the path to have the first NFL and MLS stadium to earn that distinction. The stadium will be the first of its kind to achieve all water credits available via LEED, but it does not stop there. A retractable roof and LED lighting throughout the stadium are among other environmentally valuable additions will also be on display. The stadium is dropped in the Proctor Creek watershed and will have 4,000 solar panels to generate renewable energy. Along with that, multiple public rail-line stations will be merely a mile or so out from the stadium operating using an electric-vehicle charging stations to cut down on emissions. From the beginning when Blank purchased the team in February 2002, there was a vision. These environment-first additions to Mercedes-Benz Stadium are steps toward accomplishing that dream.